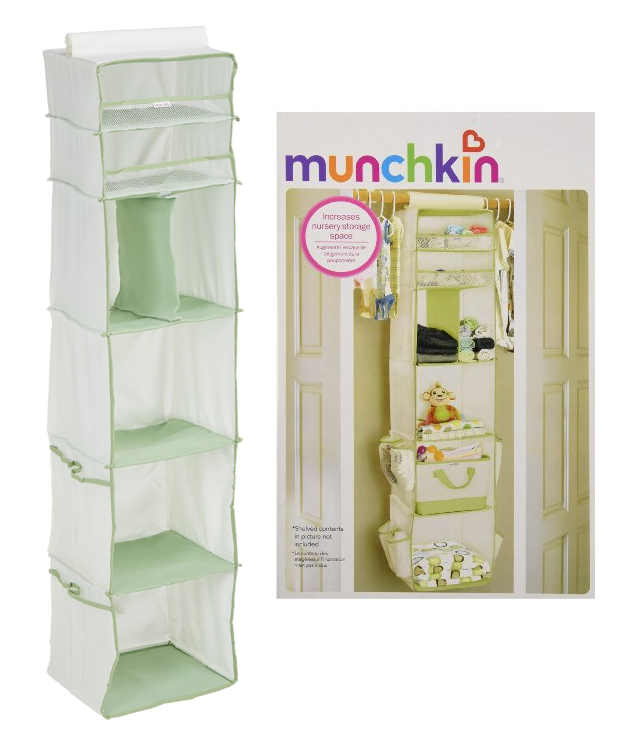 Munchkin 6 Shelf Closet Organizer, Cream/Green Only $4.99! (Reg. $25)! You are here: Home / Great Deals / Amazon Deals / Munchkin 6 Shelf Closet Organizer, Cream/Green Only $4.99! (Reg. $25)! These closet organizers are so terrific! They really increase your space and get some of the clothes down where the kids can get to them! Get the Munchkin 6 Shelf Closet Organizer, Cream/Green for Only $4.99! (Reg. $25)! This Add-On Item ships with any qualifying order of $25+.